Established as early as 17th century, Blackjack is widely considered one of the most popular card games in the world. One of the reasons behind its popularity is the fact that this is not a clear game of chance but the one where skill and technique plays a good part. 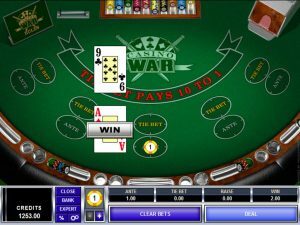 Online Blackjack is now as popular as its land-based version with different strategies making the job even easier for online gamblers. The best strategies for online blackjack will be featured in this article. 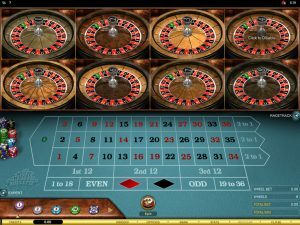 Every online casino room offers a choice between several versions of this popular game, but in order to neutralize the house edge, you need to find a table where dealer stands at 17, even if it is soft 17 (with ace in the hand). 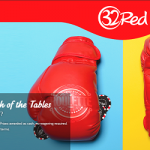 In addition to that, the table needs to have a double down feature, since this can see you double your winnings when you feel you have the edge over the dealer. With the dealer sure to stand on 17, bear in mind that you will need a total of at least 18 to win the hand, unless the dealer goes bust. One of the best online blackjack strategies is to use the double down feature whenever you can. This is usually done when you have an ace or a ten-value card as another ten would give you a big chance of winning the bet. When doubling down the player is basically placing another bet to the same value as the first one. However, bear in mind that by doing this you have committed to stand after the second card is drawn. When dealer’s first card is an ace, the player will be offered an insurance, which is basically a side bet that the dealer has blackjack and it pays 2:1. As tempting as it may be, you should never take insurance since this is never profitable in the long run, considering that the dealer will actually have a blackjack less than one third of the time. Insurance actually increases the house edge, so this is by no means a good option. If your first two cards are of the same value, you will be offered to split cards and place another bet of the same value as the first one. 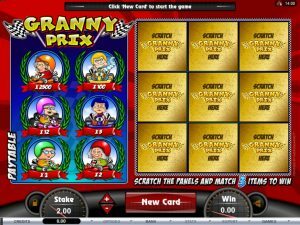 This can be a good thing as you can double the winnings, but the losses can be doubled as well. You should never split fives, nines and tens as you will already have a good chance of beating the dealer, but sixes, sevens and eights should be split because without splitting the cards don’t stand a good chance of winning. Aces should also be split without thinking twice with the prospect of two blackjacks enough reason to do it. One of the best online blackjack strategy tips we can give you is to stand when holding 17 or more regardless of the dealer’s hand. Even if the dealer holds 8,9 or ten, you are better off standing and hoping he won’t get another ten than drawing another card and going bust almost every time. Inexperienced players tend to disregard this rule, but it is moves like this that differentiate real players from amateurs. This is one of the basic strategies for online blackjack, but you would be surprised to see how many people take it for granted. A lot of players decide to hit when their total is 12 or 13 even if the dealer is holding 4,5 or 6 and they tend to forget that the dealer would have to draw another card even if he gets a ten because he has got to hit when holding 16 or lower. This is why you should just stand and wait for the dealer to go bust, rather than doing so yourself. Winning and losing streaks can have a major effect on your bankroll, so it is really important to know how to behave when you are up and how when you are down. It is always a good thing to quit when you are on a winning streak and withdraw your winnings as these don’t last forever and can see you lose all your winnings if you continue to play. On the other hand, you should never chase your losses and increase your stake when on the losing streak, but rather take a break and start all over again. For more info about good and reputable casinos for Blackjack other popular games, start by visiting our main page here on CasinoDirectory.com. For almost an authentic Blackjack game play experience online, why not give Live Blackjack a go? Live dealer casinos / games offer a glimpse into the future of how casino games online will be played mostly.